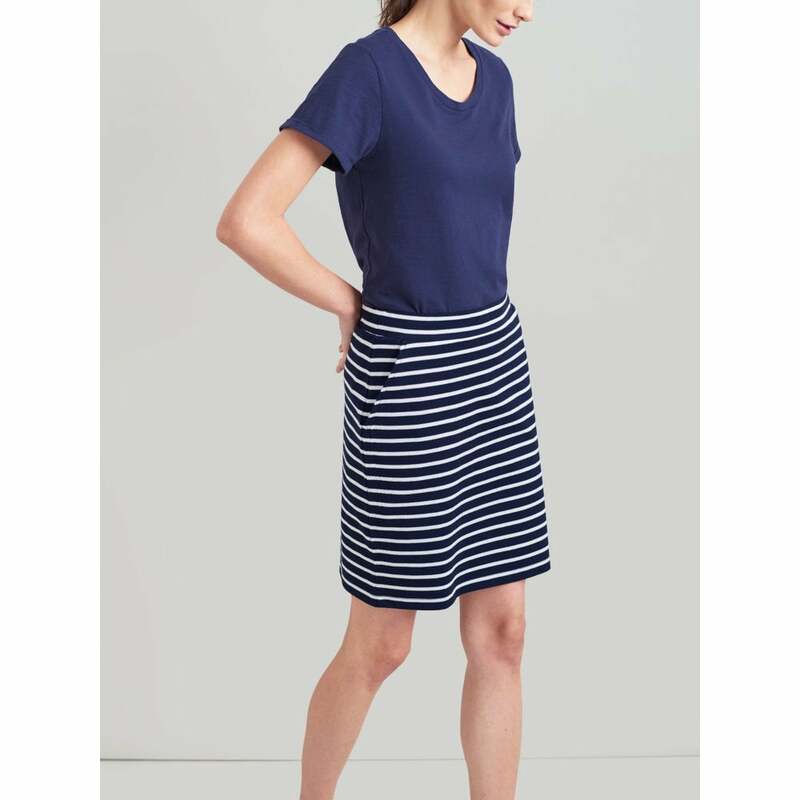 This beautiful easy to wear striped skirt is a summer staple! crafted from soft 100% cotton jersey, featuring an elastic waist band for extra comfort, and practical front pockets. This lovely skirt is a great outfit builder!